Most of the lines are formed by a shallow trench with a depth of between four inches (10cm) and six inches (15cm), made by removing the reddish-brown iron oxide-coated pebbles that cover the surface of the Nazca desert and exposing the light-coloured earth beneath. It is channel of energies and information. It is discovered that the lines converged at the winter solstice in the Southern Hemisphere. The figures were markers on the horizon to show where the sun and other celestial bodies rose. The lines are connected with sacred temples from China and Japan. 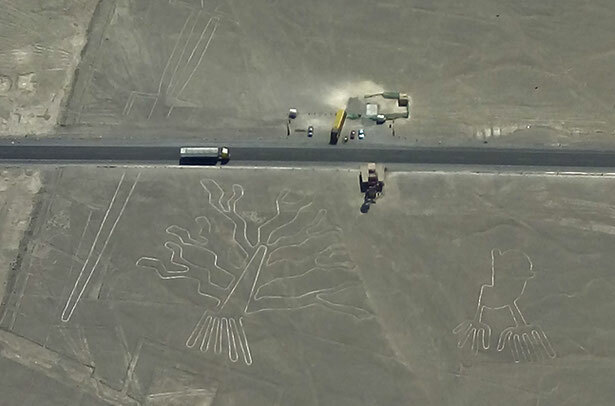 The Nazca line are energy channels from other dimensions. In general terms, the geoglyphs fall into two categories: the first group, of which about 70 have been identified, are said to represent natural objects, such as animals, birds and insects.